Legislation that would allow Texans to vote on whether cities in large counties can annex areas outside of their limits — a contentious issue that prompted a filibuster in May — got one step closer to Gov. Greg Abbott’s desk Friday. But significant obstacles remain. The House gave initial approval to Senate Bill 6 by a 115-24 vote. But the version of the bill that passed the lower chamber includes a key change related to annexation around military bases that is a big point of contention. The House’s plan allows citizens who live within five miles of military bases to vote on proposed annexation — as long as the city still has the ability to regulate the area around those bases. A similar provision was included in the House version of annexation reform that passed during the regular legislative session, but that provision was stripped out in a conference committee. Citing the lack of protection for military bases, Sen. José Menéndez filibustered the final version of annexation reform in the dying moments of regular session debate. "How could I sit idly by and not try to do what I could to defend the military bases?" Menéndez, a Democrat from San Antonio — home to several military bases — said the night of the filibuster. Supporters of the five-mile base buffer like Menéndez say land development around military bases can hinder base missions. That's why it's important, they argue, that cities don't face barriers to regulating that land when necessary — in part to make sure the nearby base's needs are considered as development expands. In a letter to Lt. Gov. Dan Patrick published Friday in the Quorum Report, an online political newsletter, Darryl L. Roberson, a lieutenant general in the United States Air Force stationed at Joint Base San Antonio, wrote, "I am concerned that [annexation reform] may affect compatible land use and encroachment prevention efforts." But detractors like the author of SB 6, Sen. Donna Campbell, R-New Braunfels, say the military base issue is a “false narrative” that has been unfairly folded into the debate over annexation. Campbell has argued that cities already have multiple tools to address development that interferes with a military base's mission. The House Committee on Land and Resource Management heard testimony last week from dozens of citizens who oppose municipal annexation — many of whom were similarly skeptical of the military base argument. “Let’s put the political rhetoric aside and end the tyranny of forced annexation and simply pass the will of the people,” Michael Stewart, whose home faces annexation by the city of San Antonio, testified. City officials from San Antonio, Austin and Corpus Christi testified against the proposed reform, saying annexation is a valuable tool a city uses to expand its area and tax base. 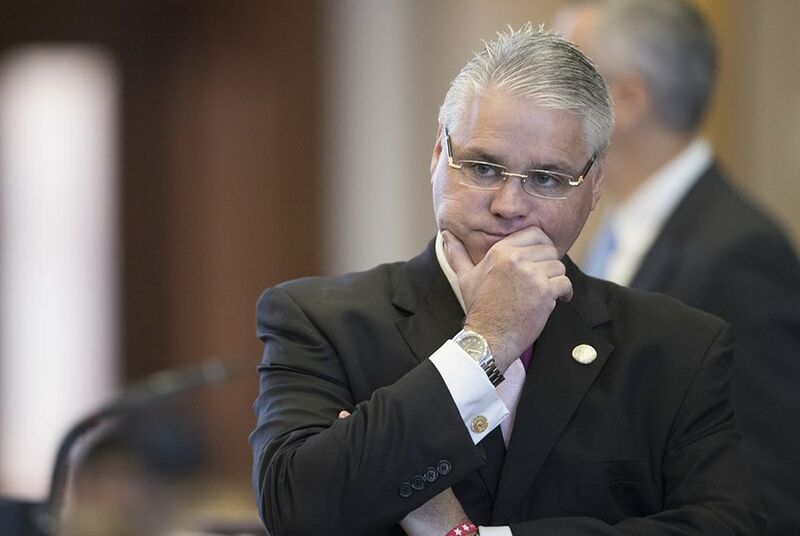 But the bill that the House committee debated – House Bill 6, Huberty's companion to SB 6 that included just a half-mile base buffer – was not the bill that was ultimately voted out of committee. After four hours of testimony, the committee left HB 6 pending. SB 6 — the version with the five-mile buffer — reached the House floor after committee members unanimously supported the measure in a brief meeting last Friday. SB 6 was originally scheduled for a vote Monday, but state Rep. Joe Moody, D-El Paso, used a parliamentary tactic called a point of order to delay it, arguing that the latest version of the legislation violated House rules and the Texas Constitution. Speaker of the House Joe Straus, R-San Antonio, sent the legislation back to committee to be redrafted. The House also approved a change Friday that would create a petition and election process in the case that smaller counties want the protections offered by the law. Debate over the legislation Friday was lengthy and contentious. More than two-dozen amendments were filed on the legislation, including one from Rep. Matt Schaefer, R-Tyler, that would have expanded the provisions of the bill to each of Texas's 254 counties. But only a few minor changes were adopted. If the House finally approves SB 6, the bill will go back to the Senate. If the Senate fails to concur with the House's amended version, SB 6 will head to a conference committee, which will work out the differences between the House and Senate versions of the bill. With less than a week to go in the special session, the House and Senate are running out of time to get a bill to the governor's desk. And if annexation reform once again comes down to the final moments of the session, Menéndez has already all but threatened another filibuster. "Maybe we’ll get down to the last few days, and we’ll get to have a little longer conversation,” Menéndez said when SB 6 initially passed the Senate in July.